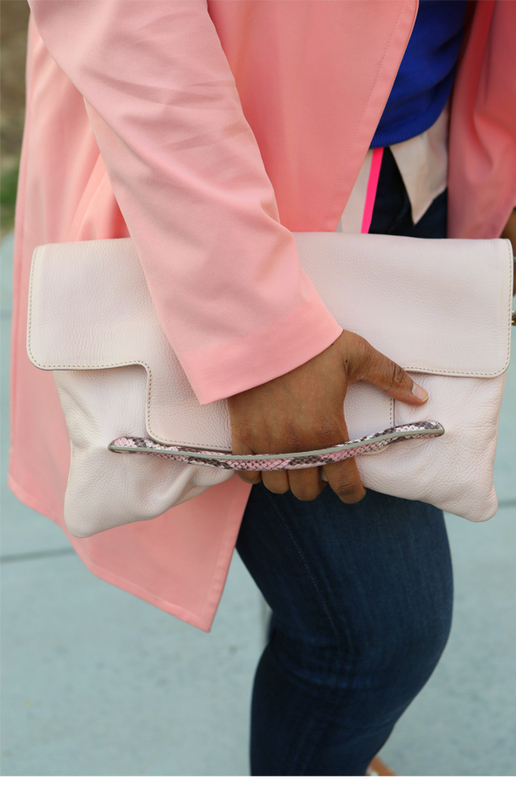 I tend to go back and forth between wearing black (my favorite and default fashion color) for long periods of time, and being a girly girl and rocking lots of pink, my other favorite color. 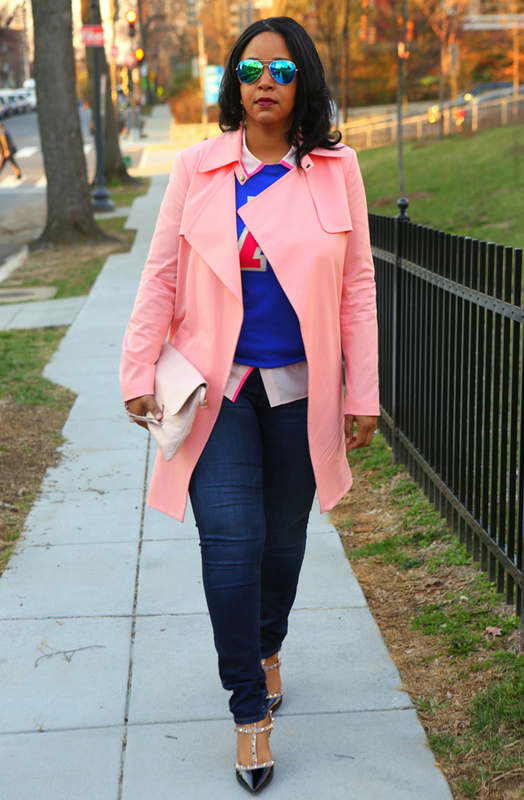 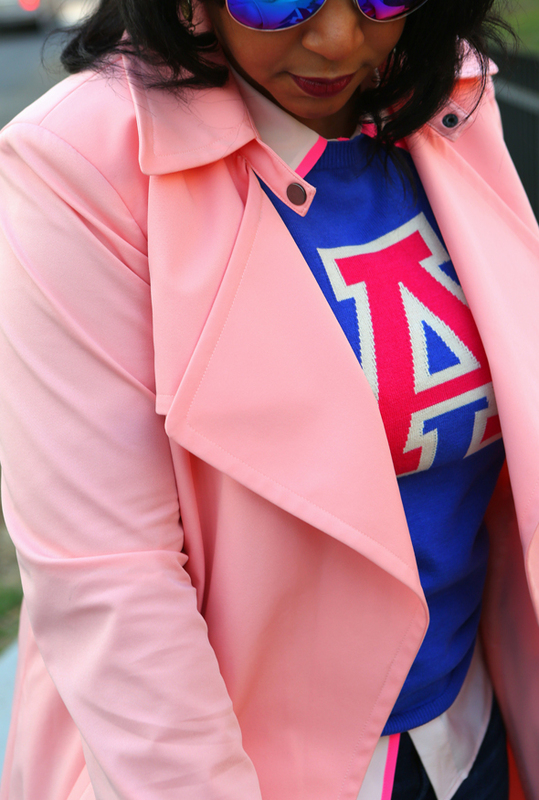 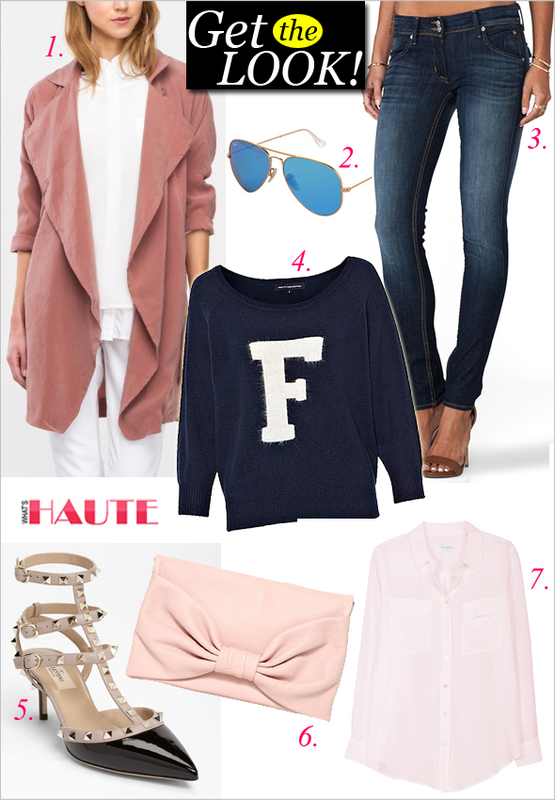 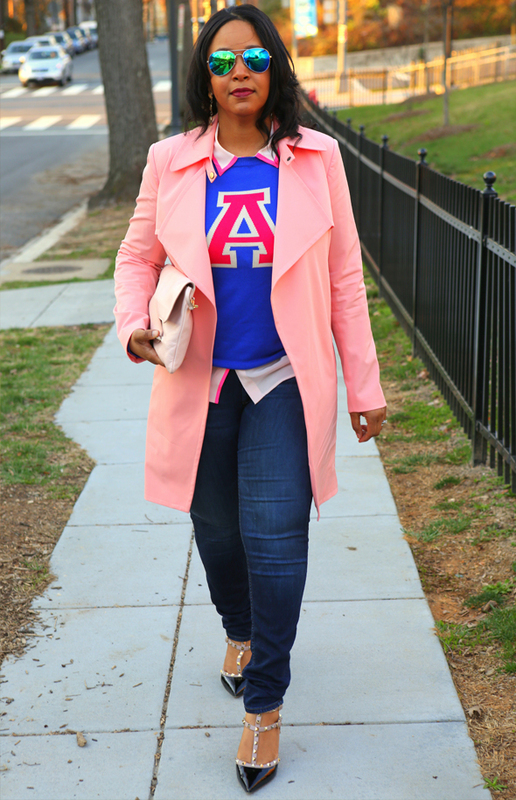 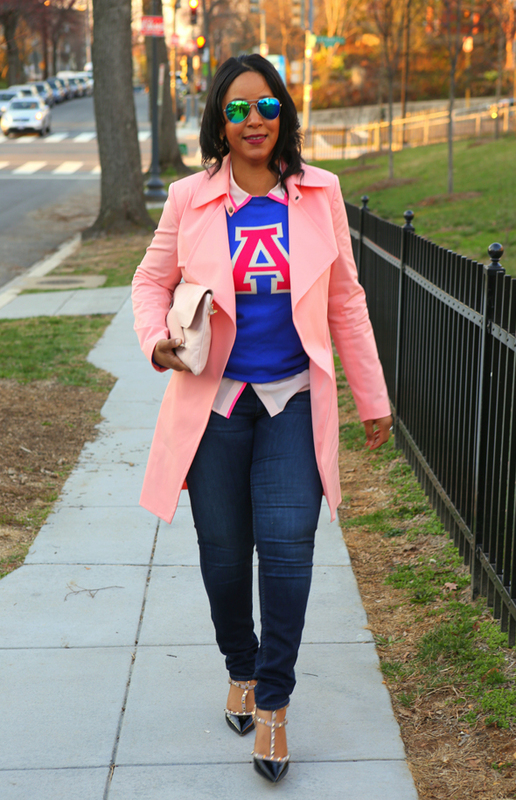 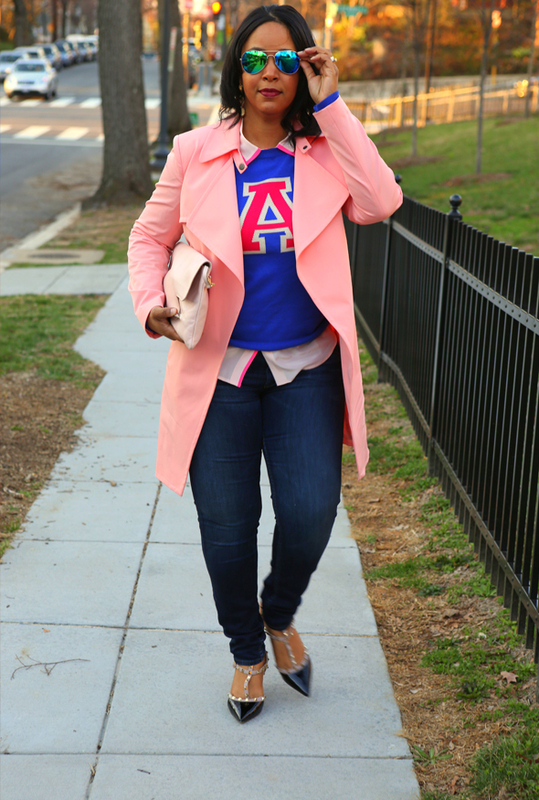 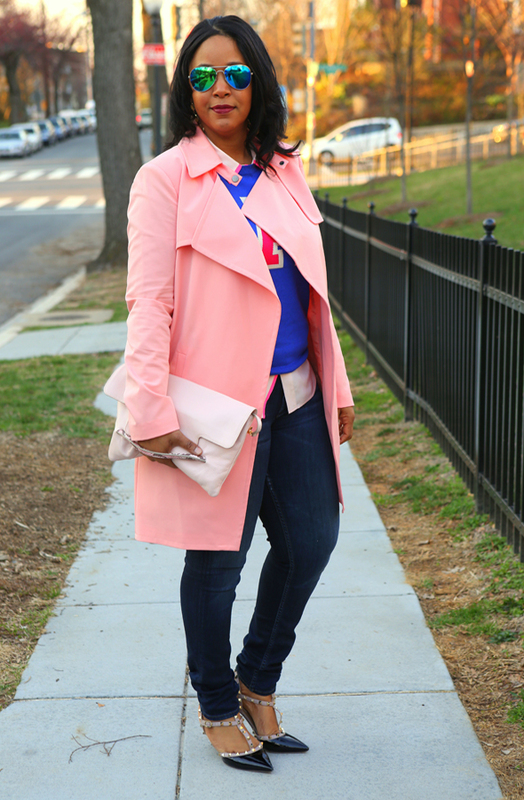 Plus, I’m a fan of trendy pieces that have staying power, so when I saw this lovely varsity sweater and blush pink trench at Nordstrom (both on trend this season), I just had to have them! 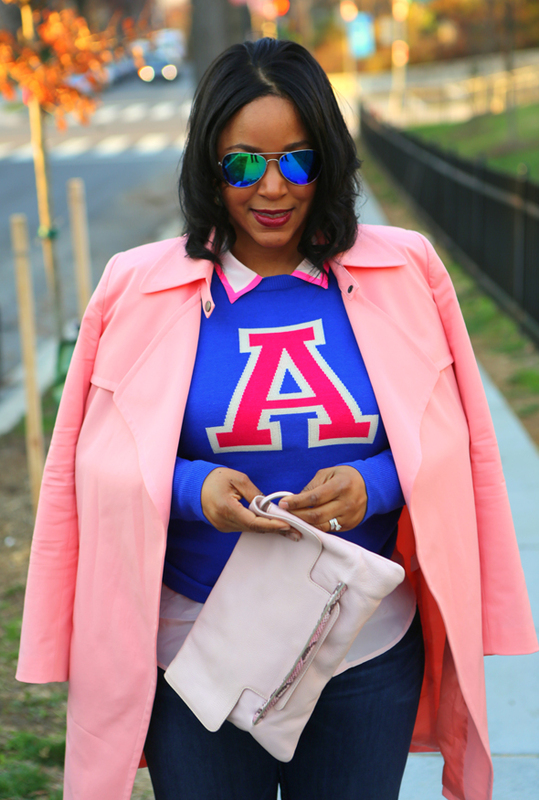 Varsity jackets and sweaters are on trend right now, but even after the trend ends, this is a sweater that I can see myself wearing for the long term. 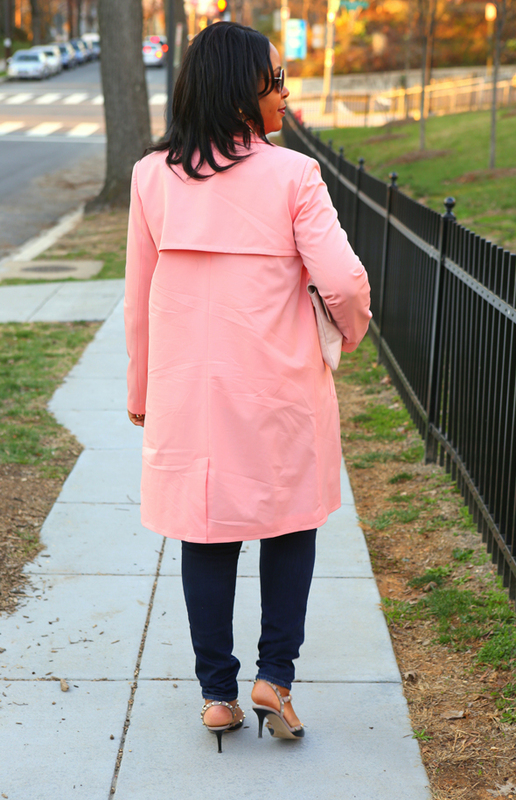 And though pastels are also having their trendy moment this season, the cut and color of the coat makes it a long-term closet addition as well. 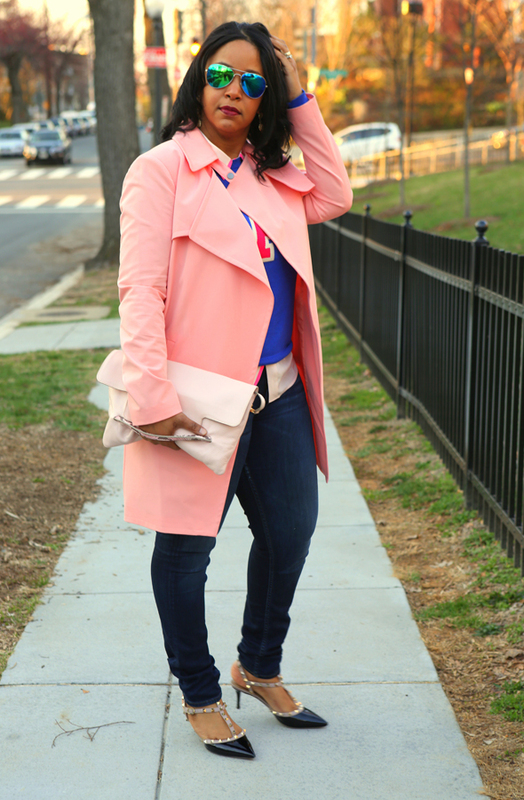 And it’s a nice alternative to the classic khaki trench coat.